A Tidepool account. If you don't have one, you can create your free Tidepool account by visiting tidepool.org/signup. 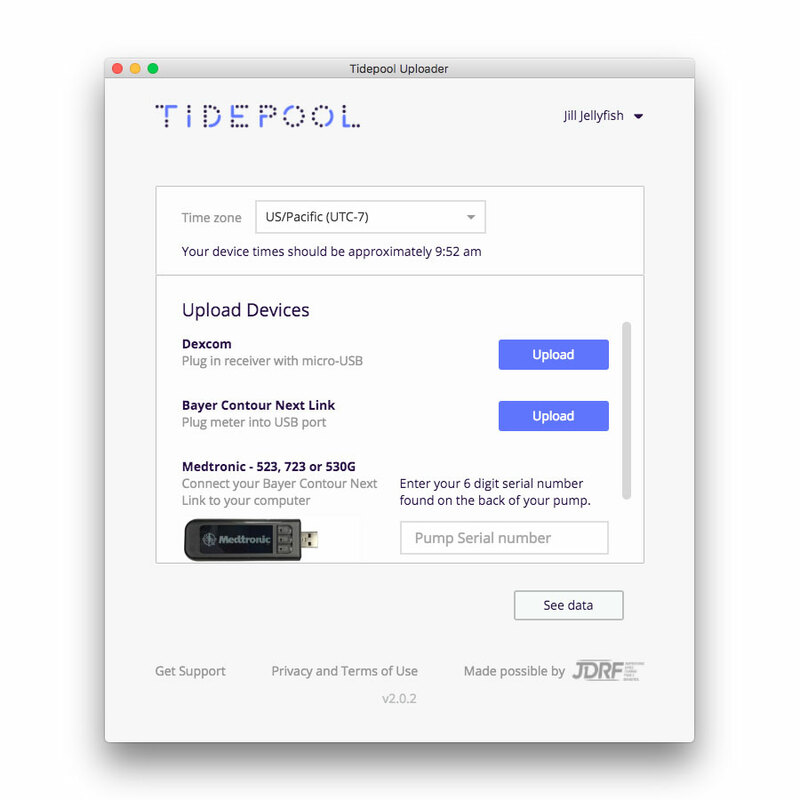 The latest version of Tidepool Uploader installed on your computer. If you've already installed the Tidepool Uploader, it will check for updates every time it is opened. You can download the latest version of Tidepool Uploader at tidepool.org/uploader. Your Diabetes Devices. That's where the data is, after all. Please refer to our device guides for specific instructions for supported devices. 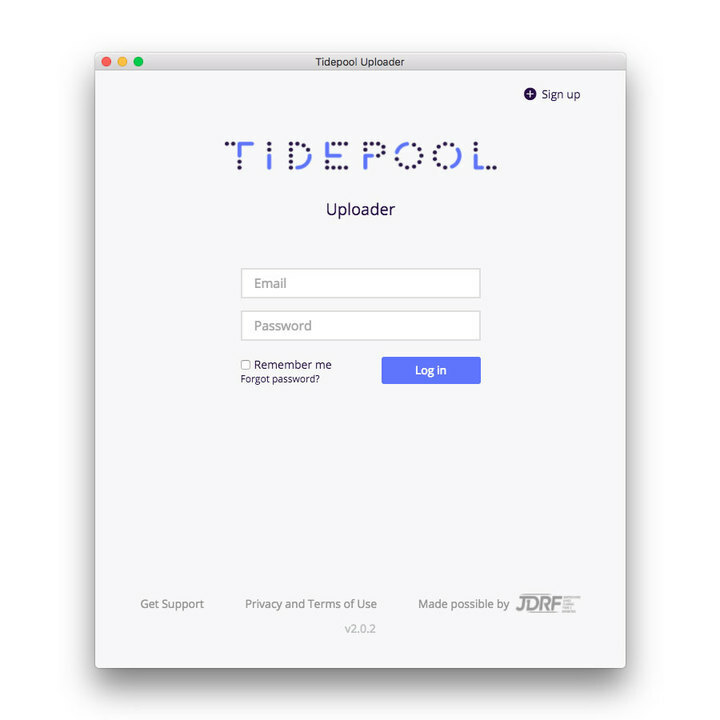 Launch Tidepool Uploader and log in to your account. Confirm your diabetes devices are selected. You can change your devices by selecting "Choose Devices" from the menu under your name. Confirm the Tidepool Uploader is set to the right time zone. This helps us keep your data in sync. Connect the diabetes device you wish to upload to your computer. Different devices require different cables to connect to your computer. Review our guides for each device you use to make sure you can properly upload your diabetes data to Tidepool. You're done! After the upload is complete, you can upload another device (See step 4) or click "See data" to view your uploaded data.